There's a famous Midrash cited by Rashi (Shemoth 2:5), that says Pharaoh's daughter stretched out her arm and that it extended beyond its natural length to pull in the basket containing the baby from the Nile river (whom she would name Moshe). This is based on the words of the Pasuk, "וַתִּשְׁלַח אֶת-אֲמָתָהּ", which are usually translated as, "And she sent her arm," suggesting that the sending is somehow awkward for a limb. But that's not really the meaning of the words, and Rashi himself first says that אֲמָתָהּ actually means "her handmaid". (See also, "וְיוֹם הַשְּׁבִיעִי שַׁבָּת לַה אֱ-לֹקֶיךָ: לֹא-תַעֲשֶׂה כָל-מְלָאכָה אַתָּה וּבִנְךָ וּבִתֶּךָ, עַבְדְּךָ וַאֲמָתְךָ וּבְהֶמְתֶּךָ, וְגֵרְךָ, אֲשֶׁר בִּשְׁעָרֶיךָ.‏ " -- "But the seventh day is a sabbath to HaShem your G-d: do not do any creative labor, you, your son and your daughter, your (male) slave and your handmaid and your animal, and the stranger that is within your gates.") Even after citing the Midrash, Rashi further explains that the Midrash doesn't even work grammatically, because the word אֲמָה needs a Dagesh in the Mem to mean "arm". So the Midrash is using the visual of Pharaoh's daughter miraculously extending her arm beyond its natural length to explain why the word "(and she) sent" is used in the Pasuk - even though, if we just translate it the more natural way (ie., her handmaid), it would make sense without any obvious miracles or any unusual linguistic tricks. Not only that, but the forced translation also creates a new awkward phrasing (at least in my opinion). The very next word says, "וַתִּקָּחֶהָ" - "and she took it". Once the Midrash has defined the meaning of the Pasuk that she herself extended her hand, it makes this word awkward, because it could have just said, "to take it," or something equally generic and passive. It's not really fixing any awkwardness. It's only the assumption that she did it herself that created the awkwardness it then seeks to fix, and then it accidentally creates another (admittedly slightly less) awkward phrasing. So why should Rashi go to such great lengths (the pun wasn't originally intended, but it's a good one, isn't it) to cite this Midrash? Isn't his whole modus operandi to bring Peshat unless Peshat isn't adequate and the Pasuk calls for Derash? Rashi could have answered these questions in various ways but the derash does deal with them convincingly - and it has Chaza"l behind it. I would estimate that about 80% of Rashi is citations of midrashim. her maidservant: Heb. אֲמָתָהּ, her maidservant. Our Sages (Sotah 12b), however, interpreted it as an expression meaning a hand. Following [the rules of] Hebrew grammar, however, it should have been vowelized אַמָּתָהּ, with a dagesh in the mem. They, however, interpreted אֶתאֲמָתָהּ to mean her hand, and her arm grew many cubits (אַמוֹת). Of these three, a pashtan could think that #1 was peshat. Therefore, Rashi points out that: A) it really means maidservant B) Chazal said hand; C) this was midrash, rather than peshat D) and it must be midrash because the dikduk does not work out on peshat level E) very slight elaboration of Chazal's derasha, to show their engagement in wordplay, that they incorporate definition #3. Look to see how much space Rashi devotes to each of these tasks. Rejecting the midrash and explaining why (or even accepting it, had he done so) is well within Rashi's agenda. If that is the case, it seems that Rashi brings the Midrash in order to refute that version. Alternately (and I'm not sure if this is correct), the previous Rashi quotes our Rabbis as saying that the handmaidens died because they tried to protest Pharaoh's daughter's action of saving the child. Rashi then says that the words of the verse support this explanation. [The Talmud that Rashi is quoting does say one handmaiden was left alive, but Rashi here does not bring that point]. If so, Rashi is left with a problem. If the maidservants died, which maidservant did she send to take the basket. To resolve this, Rashi brings the Midrash, even if he finds it problematic. Jewish oral tradition as documented in the Talmud indicates that the "outstretched arm and hand" of Pharaoh's daughter (that saved Moses) was the same imagery of the "outstretched arm and hand" (that had saved Israel and punished Egypt). That is, Pharaoh's daughter had rejected the idolatry of Egypt, and when she approached the Nile to wash, she had disobeyed the edict of her father to save the Hebrews, since the handmaidens had recognized the basket as containing a Hebrew child. That is, Pharaoh's daughter proceeded to save Moses with an "outstretched arm and hand," which was the larger metaphor for HaShem, who saved the Israelites with an "outstretched arm and hand." The following captures Rashi's comments, and provides additional information as found in the Talmud and Dead Sea Scrolls. To start, the Babylonian Talmud indicates that Pharaoh's daughter had rejected the idolatry of Egypt. That is, the Gemarah of the Talmud (b. Sotah 1:8-9, III.32 [Folio 12B]) reports that oral tradition indicates that her washing in the Nile was an allusion to her inner cleansing from the idolatry of Egypt. Said R. Yohanan in the name of R. Simeon b. Yohai, "This teaches that she came down to wash off her body the filth of her father's idols. "And so Scripture says, 'When the Lord will have washed away the filth of the daughters of Zion' (Is. 4:4)." The same passage in the Talmud indicates that the handmaidens, on the other hand, who accompanies her, had walked in darkness. and so Scripture says, 'Lo, I am walking towards death (Gen. 25:32)." These handmaidens alluded to the edict of the Pharaoh; that is, not even the daughter of Pharaoh (royal family member) could disobey the edict to leave Hebrew children for dead (by exposure to the elements). We read the following according to b. Sotah 1:8-9, III.32 [Folio 12B]. When [her companions] saw that she wanted to save Moses, they said to her, "Our mistress, it is customary in the world that, when a mortal king makes a decress, even though everyone in the world may not carry it out, his sons and the members of his household carry it out. "But you are going to violate the decree of your father!" Gabriel came along and beat them into the ground. The angel Gabriel thereupon destroyed them, since they would have betrayed Pharaoh's daughter for disobeying the edict of Pharaoh. Next, this passage in the Talmud mentions the lengthening of the arm, but the careful reading of this passage reveals something unusual. The rabbis allude to Psalm 3:8, where the arm is outstretched to strike the face of the enemy. One said, "She sent forth her hand." The other said, "She sent forth her serving girl." The one who said, "She sent forth her hand," [cites] that which is written [in the verse at hand], "Her arm." The one who said, "She sent forth her serving girl" points out that the world hand is not written. [The answer is] that he left her once, since it is not appropriate that a princess should stand all by herself [unattended]. And according to the one who said, "Her hand," should not Scipture have written, "Her hand"? In this way we are informed that her arm was lengthened. For a master has said, "And so you find in the case of the arm of the daughter of Pharaoh, and so you find in the case of the teeth of the wicked. "For it is writte, 'You have broken the teeth of the wicked' (Ps. 3:8). "In this connection, R. Simeon b. Laqish said, "Do not read, 'you have broken, but, 'you have lengthened.'" The teeth in Psalm 3:8 allude to might and power according to Rashi. In other words, the Talmudic teaching is that the "outstretched arm and hand" is both an agent of judgment (reaching out and striking the enemies of HaShem) as well as an agent of deliverance (reaching out and saving the people of HaShem). The Talmudic rabbis therefore understood Jewish oral tradition to refer not to the handmaidens of Pharaoh's daughter who intercepted Moses in the Nile River, but to Pharaoh's daughter herself. The image below comes from the Dead Sea Scrolls. This particular miniscule (4Q13Exodusb) is the oldest surviving portion of שְׁמוֹת (Exodus) in Hebrew, which was written sometime around the first century BCE. Special infrared light enables better examination of the same miniscule. When we zoom in on the words in question, we see the following -- that is, there are no dagesh marks or any other indicators to help understand whether we are talking about handmaidens or outstretched arms -- in other words, Jewish oral tradition pointed toward the "outstretched arm and hand" of Pharaoh's daughter, and not to her handmaidens that pulled Moses out of the water. The ambiguity existed in the absence of vowel and consonant pointing. Please note that the same Hebrew verb in this verse וַתִּשְׁלַח occurs seven times in Torah with the meaning of "stretching out the hand." Finally, in the Masoretic Text, there is no Sof Pasuq cantillation at the end of this verse! (The Sof Pasuq looks like the English colon [:] mark.) There is no Sof Pasuq to indicate the logical end of the verse in the Masoretic Text! In other words, the Masoretic editors (sometime before or during the tenth century CE) interpreted the reading of Pharaoh's daughter sending her handmaidens into the water, and so they scripted the verse cantillation markings accordingly. However, by omitting the Sof Pasuq, they allow ambiguity of oral tradition. How do we know this!? When we return to the Dead Sea Scrolls, we note that in the following verse, there is a marked difference from the Masoretic Text. The text should have said simply, "She saw [the child], [omitting "him"]. Said R. Yosé b. R. Hanina, "She saw the Presence of God with him." The Talmud existed before the vowel marks and cantillation of the Masoretic Text by several hundred years. Therefore, there is no surprise to see the Masoretic editors omit the Sof Pasuq (from the preceding verse) in order to allow the interpretation and reading from the Talmud! The lesson from this portion of Torah is that the "outstretched arm and hand" of Pharaoh's daughter (that saved Moses) was the same imagery of the "outstretched arm and hand" (that had saved Israel and punished Egypt). Thus as noted in the Talmud reference to Psalm Psalm 3:8 the "outstretched arm and hand" breaks the power ("teeth") of the enemy. So the when the Red Sea collapsed upon the Egyptian Army, the same power delivered the Israelites from the enemy of HaShem. In this light, Pharaoh's daughter saw not only the child Moses, but the very presence of HaShem with him, who would lead the Israelites in disobedience to Pharoah. 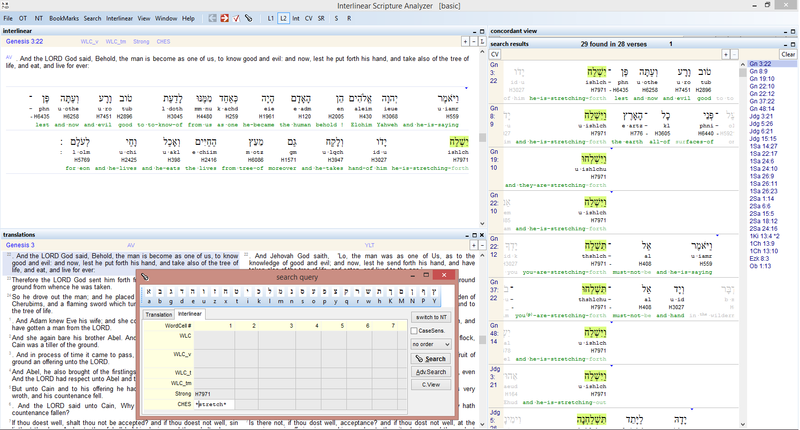 The current Masoretic Text, however, is "not incorrect" in any grammatical sense (considering that when adding vowel and cantillation points, they had to determine set meanings). In this respect, the Masoretes left several "markers" in the Masoretic Text to help readers and teachers look into the Talmud for the oral tradition. Thus they omitted the Sof Pasuq. In conclusion, the Hebrew language did not have vowel and cantillation points in antiquity as evidenced by the Dead Sea Scrolls, which preceded the Masoretes by almost 1,000 years. However, Jewish oral tradition, as contained in the Talmud, provides the background and texture on how to approach and understand the Scriptures in order to develop its fullest and freshest meanings, which are relevant for us all today. Not the answer you're looking for? Browse other questions tagged parshanut-torah-comment midrash parashas-shemos parshanut-theory .